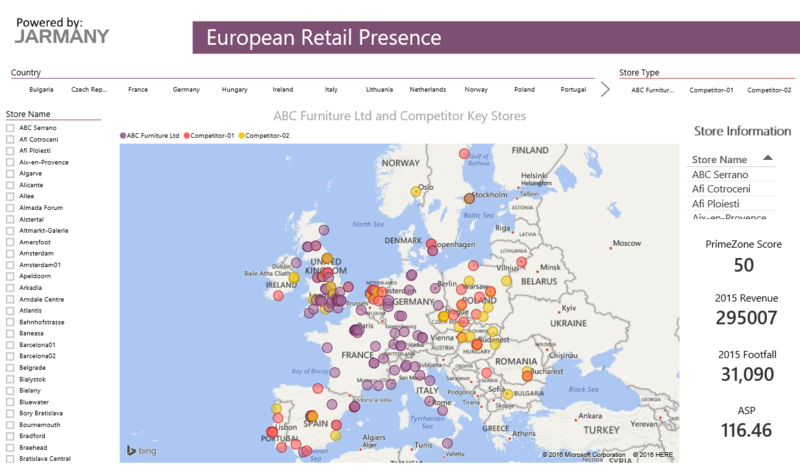 Jarmany’s solution provides the ability explore Prime Retail zones across Europe whilst mapping your store locations against competitors to ensure your store presence is in the optimal location. 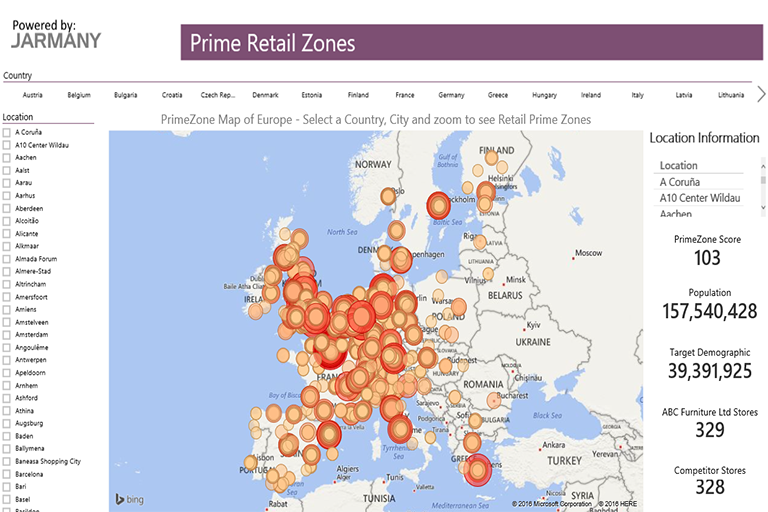 One of the greatest challenges in the retail environment is ensuring your store location is in the optimum position. The risks of getting such a decision wrong can have far reaching consequences and cause damage to the brand that you have worked so hard to create. Power BI has the ability to bring your data to life to find the answers to the questions that you are looking for. Jarmany are experts in implementing Power BI solutions creating the management reports, containing the key insights you need, to answer specific business questions and sell in internally. The result? Better, more informed decisions made faster. Utilising the mapping capabilities within Power BI we have mapped out the prime retail zones across Europe. Selecting a country and a city allows you to quickly zoom in to find the prime retail zone in that location which enables you to focus your next property search to ensure that you are in the hub of retail activity. Our solution enables you to make quick decisions as to where you need to be whilst understanding as to how your current property portfolio compares to the prime zones. Our solution also offers a quick view as to your competitor’s location to enable you to view whether they are moving into new territories.